64bit Flash Update Adds Broadcom Crystal HD Support For Linux - OMG! Ubuntu! 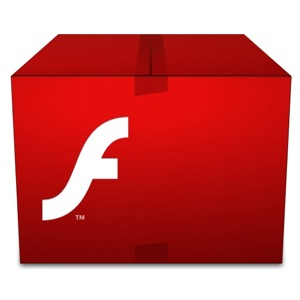 A new beta release of Adobe Flash Player has been released for both 32 bit and 64 bit users. 64bit Ubuntu users previously needed to use the outdated Adobe Flash Player “Square” beta.�This release is also notable for being the�first time�Adobe have offered both 32bit and 64bit binaries of the same version at the same time. At first glance, not much. The release notes state name as ‘TLS Secure Sockets Support’ (for secure connections) and ‘Asynchronous Bitmap Decoding’ (for smoother animation). Phoronix report that there is ‘still no support for�VA-API acceleration interface’ or XvBA, both of which enable the offloading of video processing grunt to a systems GPU. Netbook users whose devices have a Broadcom Crystal HD video accelerator�will, potentially, benefit from lower CPU usage and better playback of HD flash content around the web thanks to references in the binary to ‘libcrystalhd.so’�and ‘Broadcom,H264′. Download links for both the 32bit and 64bit versions can be found at�labs.adobe.com/downloads/flashplayer11. Usual caveats regarding beta software apply. 64bit Ubuntu 8.04, 9.10, 10.04, 10.10, 11.04 and 11.10 users are also able to upgrade/install using a PPA maintained by SevenMachine. As this is a third party PPA and not provided by �Adobe you install at your own risk. Add�ppa:sevenmachines/flash to your Software Sources. Don’t know how to do that?�See here.